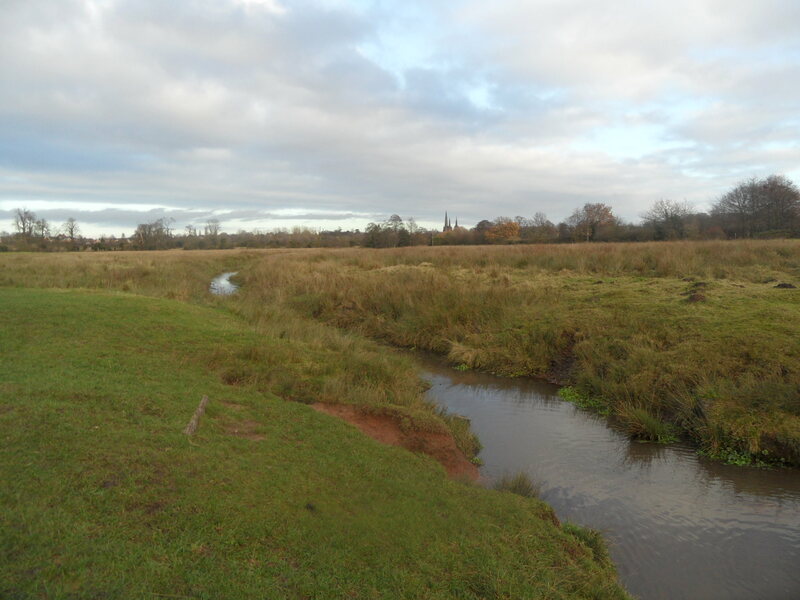 According to place name expert Margaret Gelling, Leomansley Brook has a pre-English name. It’s thought the name could contain the Celtic word lēmo, meaning ‘elm’ (1) or lēme meaning ‘limetree’ (2). The brook rises near to the conduit heads at Pipe Hall Farm, Burntwood (at a place I’ve just noticed was also known as The Dimbles, just as the area near to the Circuit Brook is/was! 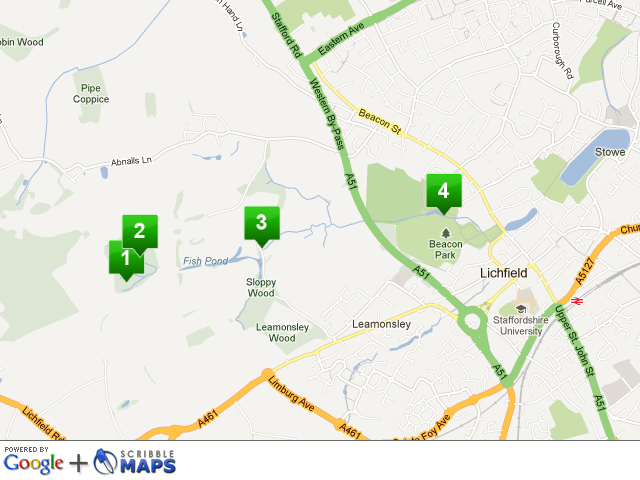 ), and crosses the Lichfield/Burntwood boundary, to fill a series of pools on the edge of Leomansley/Sloppy Wood before meandering through Pipe Green. As mentioned in my previous post, Leamonsley Mill was built on the brook at the edge of Pipe Green in the 1790s. There are a few traces of the industry that was once here – ‘Leomansley Mill Cottage’ is a little further back down the track towards Christ Church Lane and there are also some possibly related brick structures. 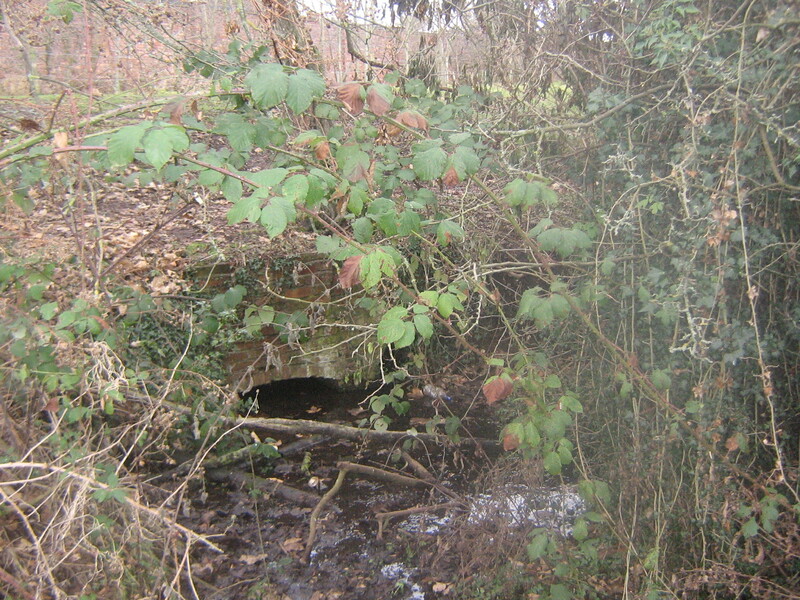 The second photo shows the place where the brook re-emerges to flow through Pipe Green, and is shown on some maps from the late 19th and early 20th century as a ‘Spout’. Taken December 2010. Shows as spout on old maps. I found a recollection by someone who spent the summer of 1984 at the old mill cottages then known as Leomansley House (which they have included a photo of!) producing the first and only issue of what they describe as a ‘local anarcho-DIY philosophy magazine’. In their description of the old house, they describe how Leomansley Brook ran past the front door. The other stories I’ve found about the pool relate to changes brought about by nature. In February 1902, the frozen pool was used for ice skating. The Lichfield Mercury reported that on the Friday after the freeze, the pool was quiet, but by Saturday a group of ‘horrid hockey people’ (as one unnamed woman described them) had discovered it and monopolised the best part of the pool. Lichfield District Council Staff had been prepared to move fish from Leomansley Pool, after the water levels dropped to a dangerous level for the fish. The fish were to be transferred to Minster Pool until the water level at Leomansley had risen. Luckily a storm that weekend brought the much needed rain and it was no longer necessary. Things couldn’t have been more different this weekend. 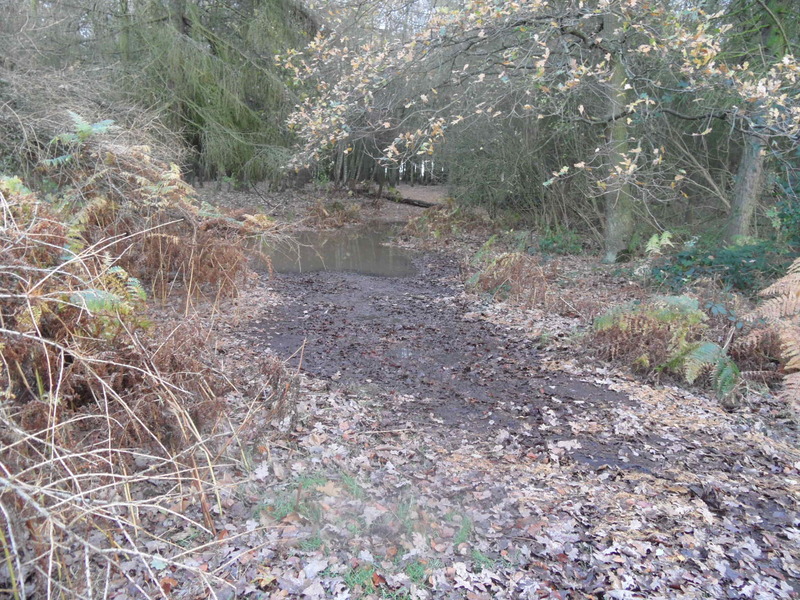 The normally dry part of the course along the edge of the woods was full, and levels in the pools were high, as you’d expect. Taken November 2012. 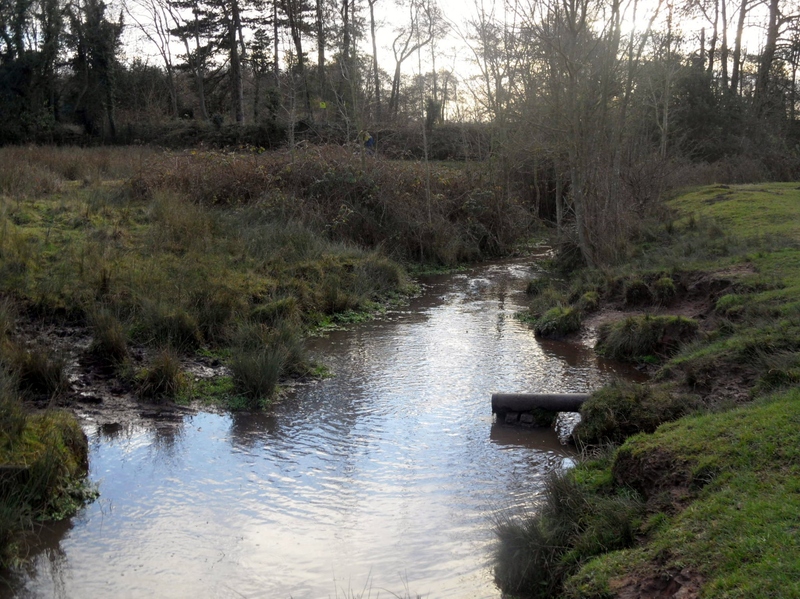 This part of the brook is normally dry. Taken November 2012. I was told there used to be a bridge somewhere near here for farm carts to cross into the adjacent field. 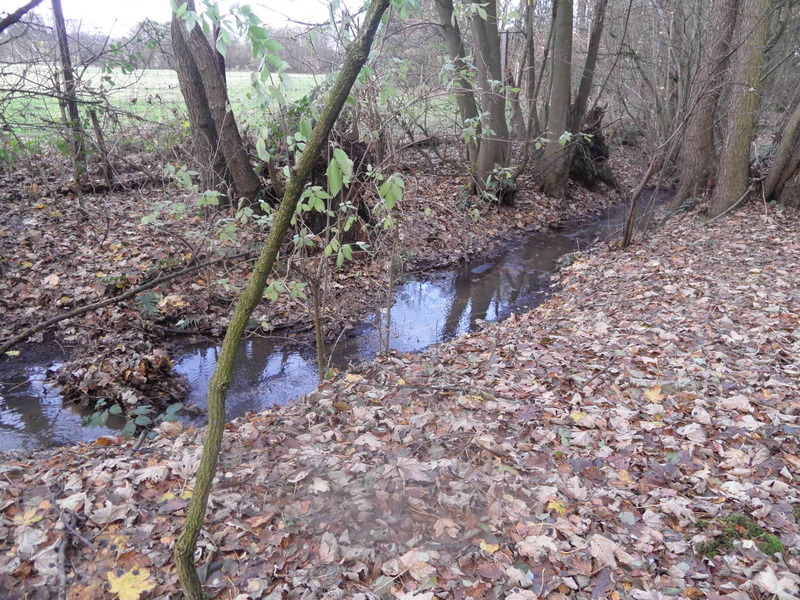 As you can see in the above photo, not only was the brook refilled, but the water was also claiming parts of the path. I imagine that’s how the name Sloppy Wood came about! From Pipe Green, the brook is culverted under the A51, and then flows through Beacon Park, filling what used to be the fishponds for Beacon Place (now the boating lake in the park), before finally ending up at Minster Pool. November 2012 – Looking back towards Leomansley House/Mill/Manor! 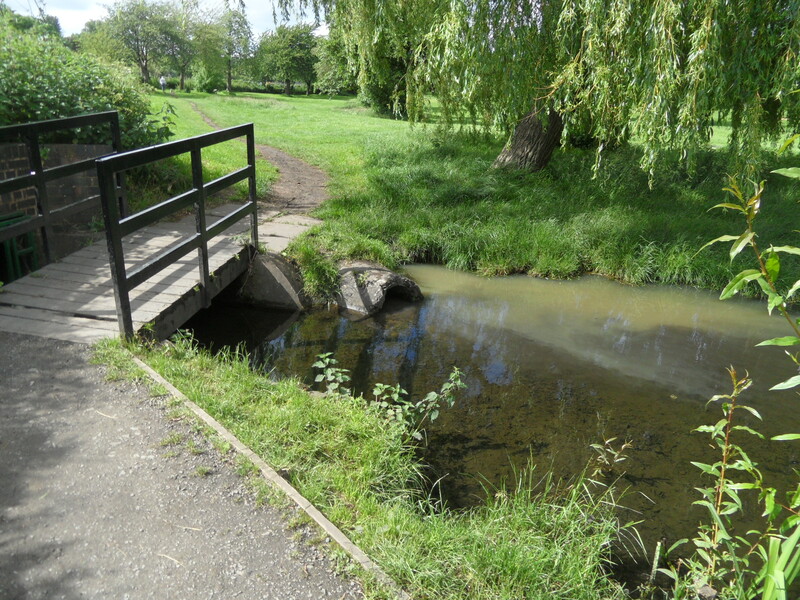 June 2012 – Leomansley Brook enters Beacon Park via a culvert under the A51. The reason the water looks murky by the pipe is that a little dog was paddling just before I took the photo! 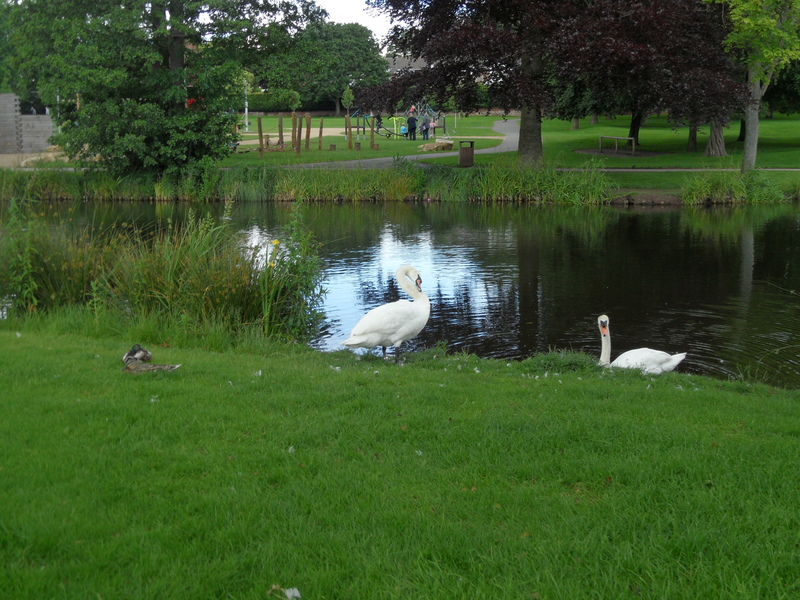 June 2012 – Passing the play area in Beacon Park. This used to be a fish pond for the mansion Beacon Place (demolished 1964). I don’t know anywhere near as much about streams and brooks as I’d like to but am really interested in them and their importance in the development of our landscape, e.g., the formation of natural boundaries and giving names to places that grew up along them. I’m also fascinated by our relationship with watercourses like these and our attempts to manage them, for better or for worse. (1) ‘Lichfield: The place and street names, population and boundaries ‘, A History of the County of Stafford: Volume 14: Lichfield (1990), pp. 37-42. 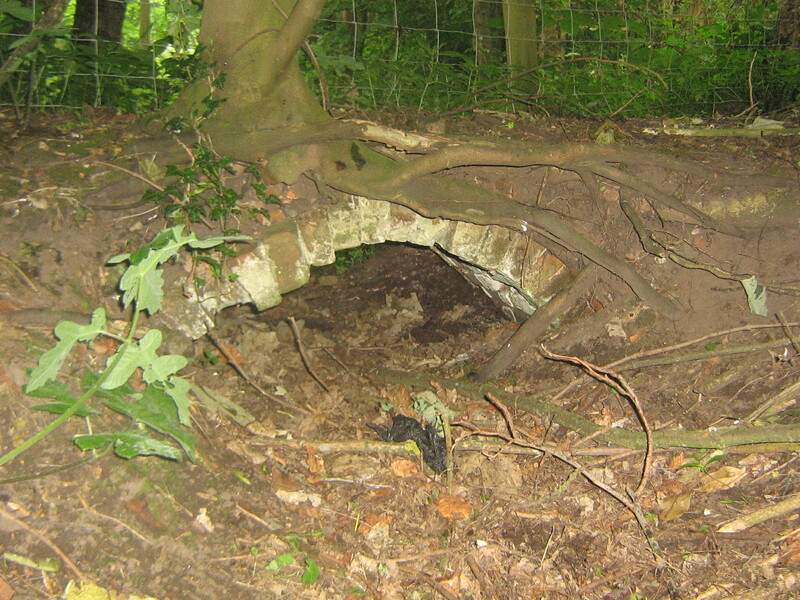 This entry was posted in ancient woodland, architecture, boundary, bricks, brook, brooks, Buildings, Burntwood, Conduit, Ditch, Leomansley, Lichfield, medieval, mill, nature, Pipe Hall, placenames, streams, water and tagged Beacon park, bricks, brooks, drought, Eilidh Armour Brown, environment, history, Leamonsley, leomansley, Leomansley Brook, Leomansley Wood, Lichfield, mill, pool, streams, water, woods by Kate. Bookmark the permalink. It’s and interesting insight – that the recent season of exceptionally wet weather is revealing new facets in the history of the landscape. I like the idea of ‘horrid hockey people’ and ‘Sloppy Wood’. Above where you describe the spout, I have crawled up that pipe as a young boy, but it seems to be full of branches and mud now. Could do with a clean out? 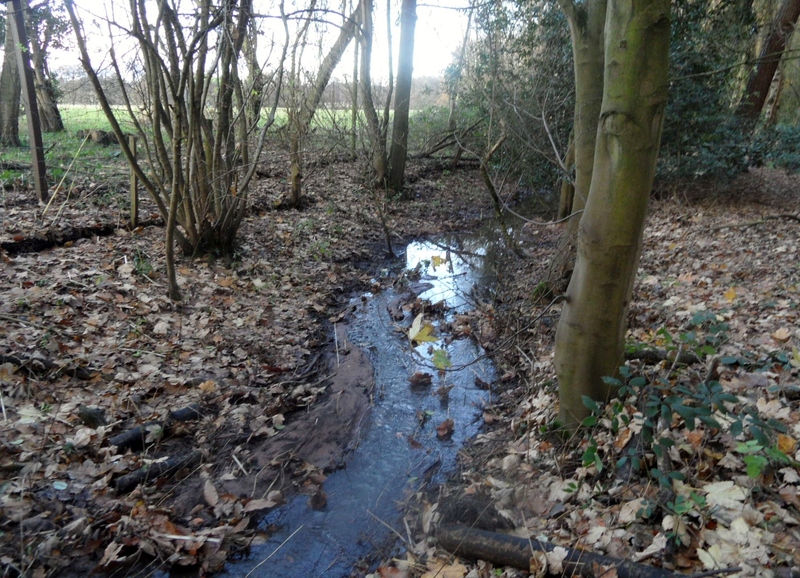 Also the photo where the water enters the brook on the green had the banks right up to the edge of the pipe once and the photo clearly shows evidence of erosion now. I remember the summer of 76 very well and I think even Minster pool and the pool in the park were very low. I cannot remember if you have recollected or written about Lady Muriel’s belt on Pipe Green? I know this area very well although not visited it for a long time. Nice photos and brings back memories, well done. Thanks. I do love Pipe Green, and will write more about it! From White’s Directory 1834, Leamonsley is a small hamlet with a large worsted mill.